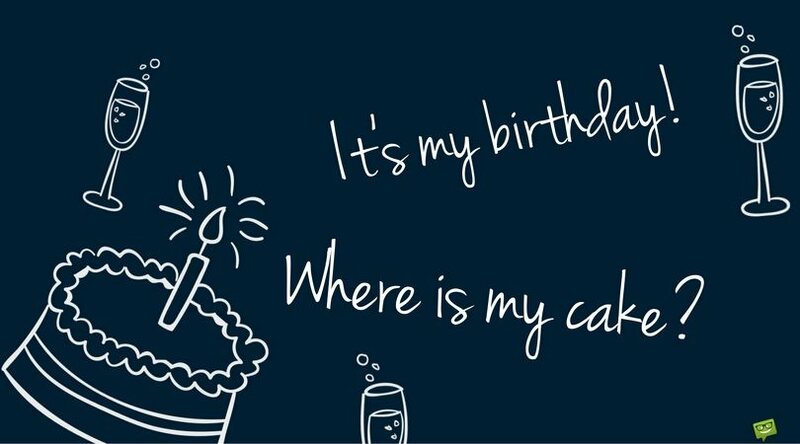 My Birthday Facebook Status Update: Happy Birthday to Me! Birthdays are special. They mark the continuity of the greatest of treasures – life. On your special day, you mark another year of your victories over the vices of the unpredictable life. We celebrate this special day with friends, families and in recent times, social media families, and it’s celebrated in different ways. The way one might choose to celebrate a birthday might differ from the other person. 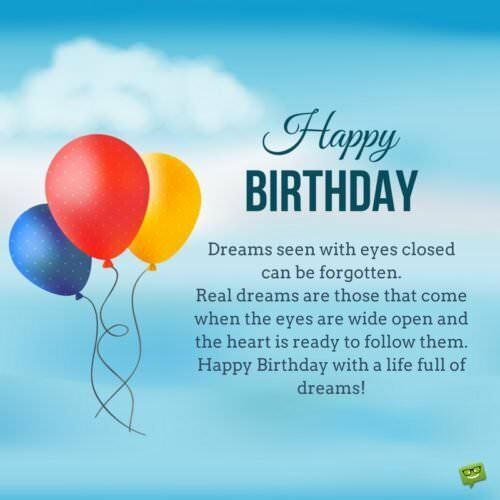 Now, since happiness and celebration are things that come first from within, you could begin by wishing yourself a happy birthday in your own unique way. This differs from person to person as well. 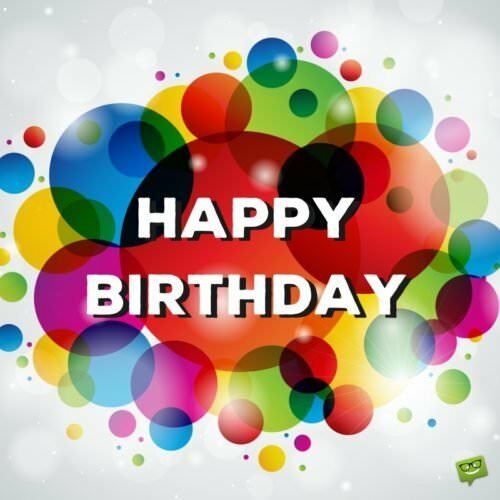 In our digital times, connecting through Facebook is quite a standard and your birthday doesn’t go unnoticed. Friends and family updates will always come and notifications to alert of their wishes will be displayed in our Facebook account. However, you can often steal some of the glory. It’s simple: all you need to do is to update your status with what you wish yourself or how you feel on your birthday so your friends and family can see it. Here will explore the numerous birthday statuses that one can possibly use on their timelines. These statuses depict a person’s mood on adding another different digit to the number of their years. Use responsibly! It’s my Birthday! I’m not getting old. I’m getting better! It’s my birthday! 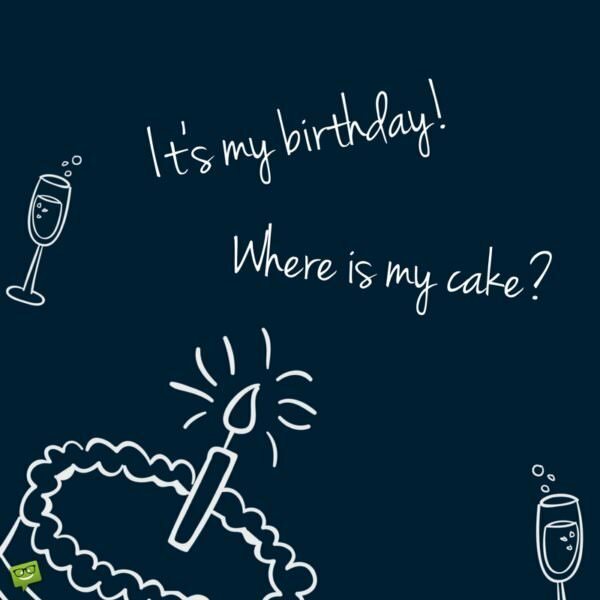 Where is my cake? Hey Everyone! It’s another merry day to eat, drink and rejoice, because it is my birthday. Happy Merry birthday to me. Words alone can possibly not express how happy I am to celebrate another year of my life with you my friends! Happy Birthday to me. A year older. And cooler than ever. Some of the update statuses may also reflect the appreciative nature of the birthday owner to his/her friends and family. Some birthday wish updates may bear a lot of wisdom and discernment yet with a funny twist to lighten the day as below. When I die (on my 100th birthday) I wish to be on a beach house in some exotic place and my friends so upset they have to drop the ongoing fun. 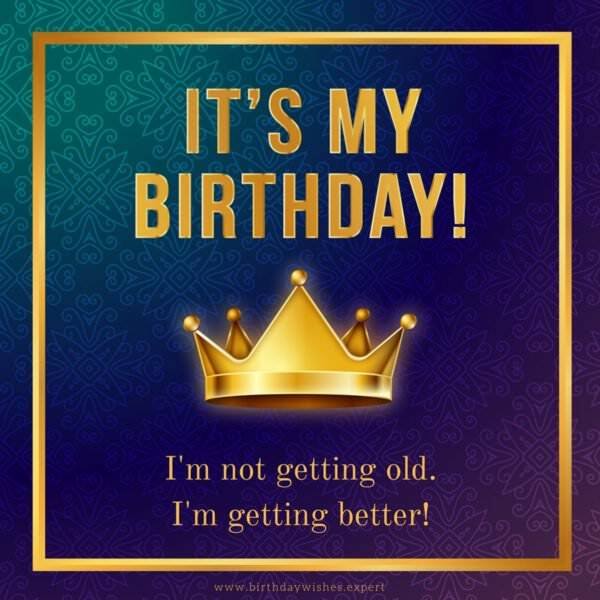 Happy birthday to me as I add one more year to my portfolio. Life’s usefulness lies not in its length but in how you apply it. I count the many years I have lived yet be able to look back and say that was worth it. I wish myself many more such years as I enter another great year in my life. Happy birthday to me. 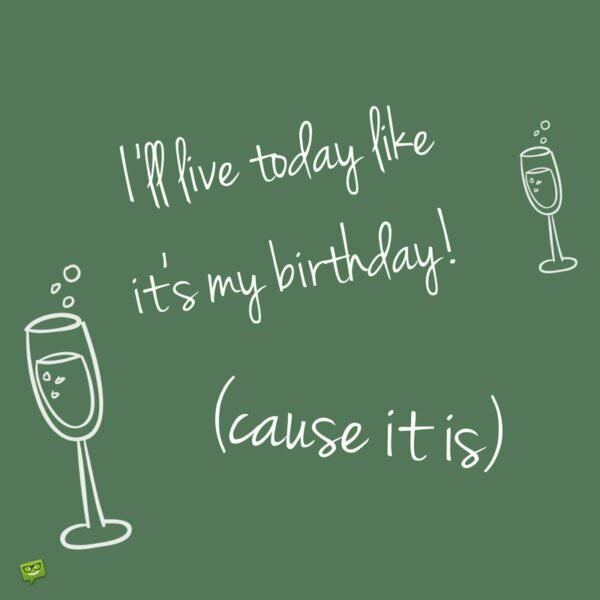 I’ll live today like it’s my birthday! (cause it is).